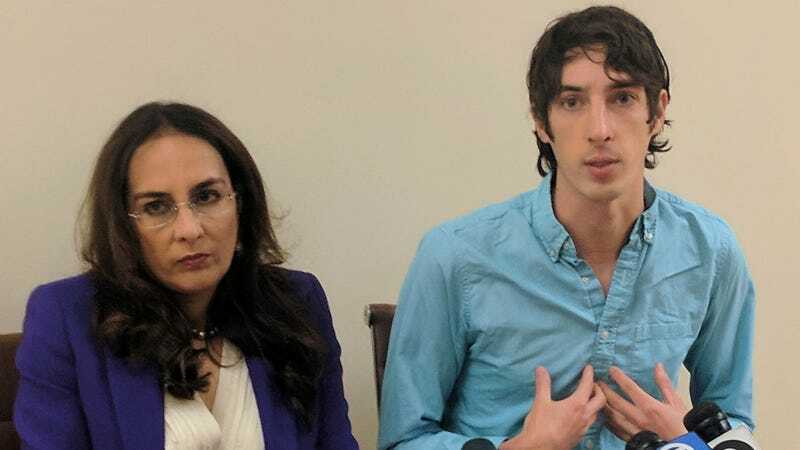 Google did not violate labor law by firing James Damore, the author of a memo that argued women were biologically less capable to work in software engineering than men, according to an attorney for the National Labor Relations Board. Damore, who was fired last August after the memo he’d circulated internally at Google became public, complained to the NLRB that Google had violated his right to participate in concerted activity to address problems in his workplace when it fired him. An attorney with the NLRB recommended that the board dismiss Damore’s complaint in a January 16th letter that was published by the NLRB yesterday. Damore dropped his NLRB complaint last month, saying he would focus instead on a class action lawsuit in which he accuses Google of discriminating against its white, male, and conservative employees. According to a memo written by NLRB attorney Jayme Sophir, Google was careful to note that it was firing Damore for his discriminatory comments, rather than his criticisms of Google’s diversity and inclusion efforts. The NLRB determined that, while his critique of Google was protected by law, his discriminatory statements were not—and that Google was therefore within its rights to fire him. Prior to his firing, Google HR received numerous complaints about the memo, Sophir noted, and at least two women who had interviewed for engineering jobs at the company withdrew themselves from consideration, citing Damore’s memo as the reason they didn’t want to work for Google. Sophir’s letter, written on January 16th, ultimately recommended dismissing Damore’s complaint if he did not first withdraw it. The case was officially withdrawn on January 23rd.